This post is for disk 1 only. 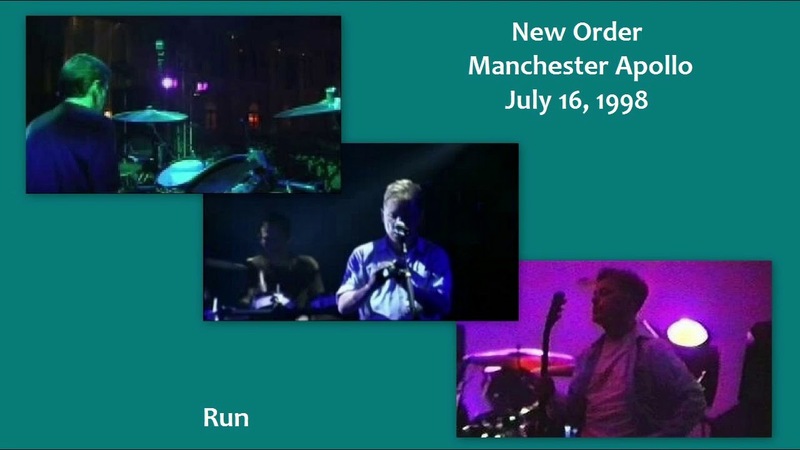 New Order were an English musical group formed in 1980 by Bernard Sumner (vocals, guitars, synthesizers), Peter Hook (bass, backing vocals, electronic drums) and Stephen Morris (drums, synthesizers). New Order were formed in the wake of the demise of their previous group Joy Division, following the suicide of vocalist Ian Curtis. They were soon joined by additional keyboardist Gillian Gilbert. New Order combined post-punk and electronic dance, and became one of the most critically acclaimed and highly influential bands of the 1980s. Though New Order’s early years were shadowed by the legacy of Joy Division, their immersion in the New York City club scene of the early 1980s increased their knowledge of dance music. The band’s 1983 hit “Blue Monday” saw them fully embrace dance music and synthesized instruments, and is the best-selling 12-inch single of all time. New Order were the flagship band for Factory Records, and their minimalist album sleeves and non-image reflected the label’s aesthetic of doing whatever the relevant parties wanted to do, including an aversion to including singles as album tracks. The band has often been acclaimed by fans, critics and other musicians as a highly influential force in the alternative rock and dance music scenes. New Order were on hiatus between 1993 and 1998, during which time the members participated in various side-projects. The band reconvened in 1998, and in 2001 released Get Ready, their first album in eight years. In 2005, Phil Cunningham (guitars, synthesizers) replaced Gilbert, who had left the group due to family commitments. In 2007, Peter Hook left the band and stated that he and Sumner had no further plans to work together. Sumner revealed in 2009 that he no longer wishes to make music as New Order. Sumner, Morris and Cunningham now work together under a new band name, Bad Lieutenant. Of all of the New Order compilations out there, this one does a pretty great job for one disc. It is a promo though, so availability may be limited. The main reason I’m writing this review is to point out that the version of 60 MPH is the Paul Dekahne Mix and is in fact unique to this CD. The arrangement is not too different than the album version, but different enough to make it interesting for die hard fans. Personally, I prefer the version of 60 MPH on this release to the album version. The other tracks on this compilation are all available on other releases. If you are looking for an introduction to the band with a couple of Joy Division tracks thrown in, and you can get this for a reasonable price, you could do worse than starting here.